The course is complete in content regarding rifle marksmanship and the tactical application of police sniper observer teams. 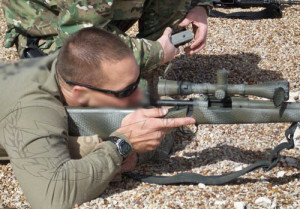 The course will cover deployment of the Precision rifle, legal issues, weapons maintenance, shooting known and unknown distance targets, ranging, camouflage, cover and concealment and many more basic sniper skills. Practical exercises reinforce precision shooting and knowledge of the rifle and specific equipment. INSTRUCTORS: The instructor cadre is a globally experienced and diverse group. This provides a unique and balanced perspective in creating our training programs. The instructors are drawn from all branches of the Military and Law Enforcement Special Operations community along with members from the Medical, Intelligence, and Investigative communities. This blend of instructors provides an outstanding depth and strength to our training.